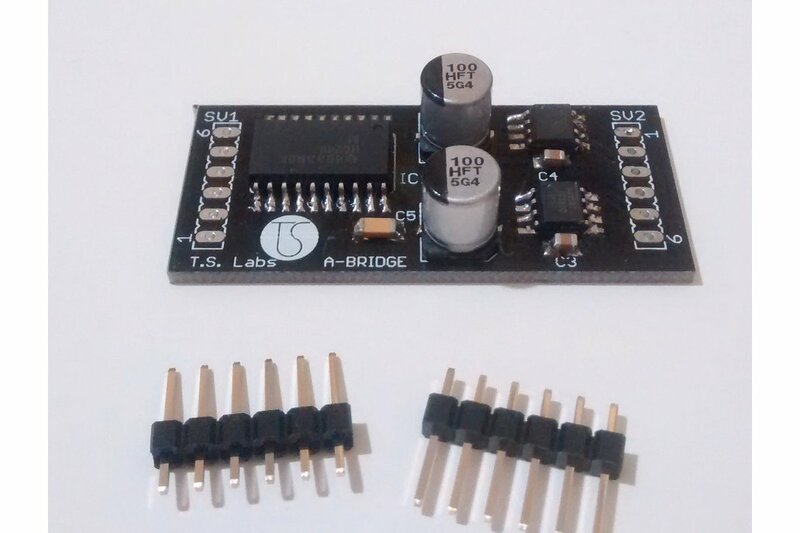 The A-Bridge is a small dual H-BRIDGE based on the integrated DMOS full-bridge A5950, capable of driving 2 motors with a continuous current of 3A (3.5A with a heatsink) and a peak current of 5A. The bridge operates in PWM LAP, so, compared to the typical PWM SM control, you have less resolution but a more precise control of the speed. 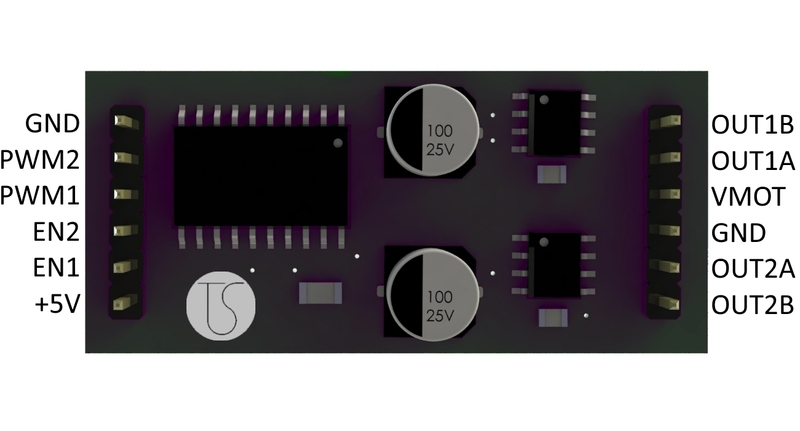 The inverted PWM signal required for LAP control is generated internally with a 74HC240 tri-state inverter, that also gives you the possibility to disable the bridge and the motor using the Enable input. 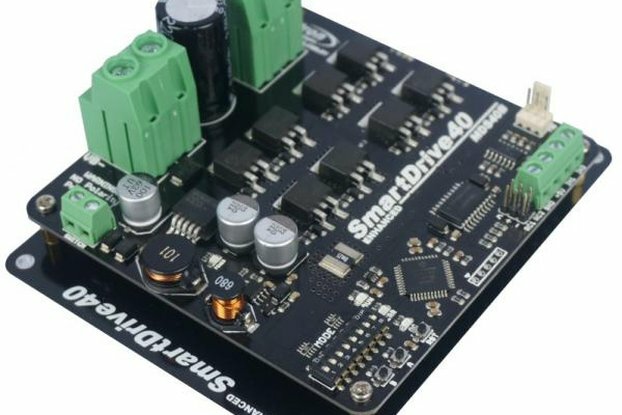 The A4950 is a very powerful bridge: it's small, it's not too expensive, it doesn't heat up too much and it can provide more current of a typical bridge (e.g. L298). 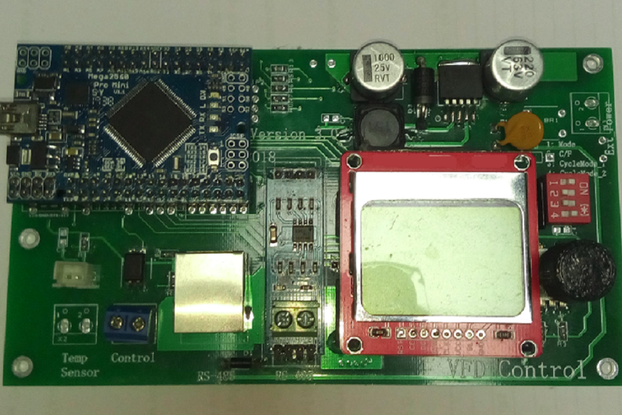 Unfortunately, it's not used in commercial and DIY applications, the only board i found with this IC is the uBridge, which is made by Officine Robotiche, an association of which i'm a member. I also noticed that the LAP control, which is more precise than the typical PWM SM, is not used much in the DIY, so i choose to make a small module to allow anyone to use this powerful bridge with a built-in LAP control. Some motor manufacturers (e.g. 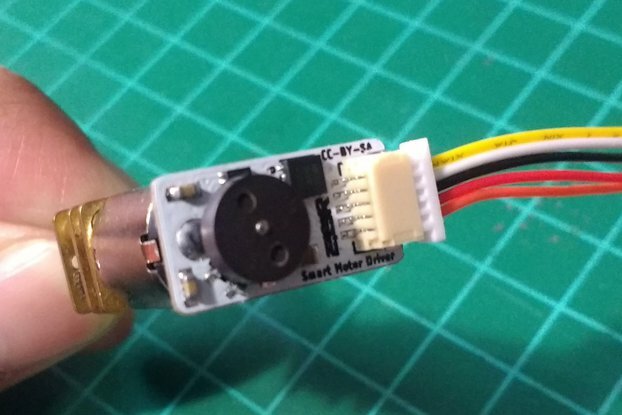 micromotors) use capacitors to reduce spikes and noise, it's recommended not to use that type of motors with this bridge. 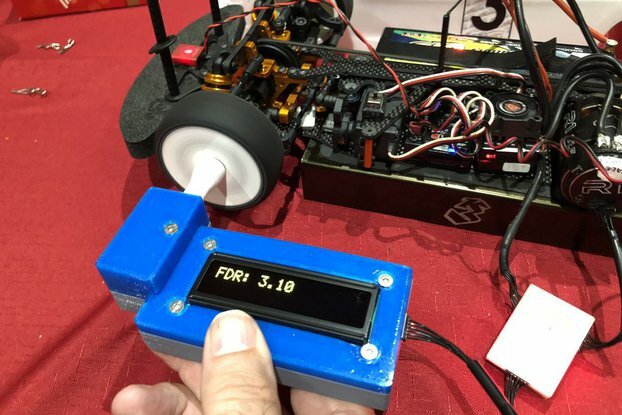 Check the motor's specification to know if your motor has the capacitors. The ENABLE pin is used to disable the bridge. When LOW the bridge is operating at normal condition, when HIGH the bridge will enter in low power standby mode after 1ms. This is useful because the brake condition, with duty cycle 50%, means that the motor is braked, and it will draw current to remain still. This is the worst efficiency condition for the bridge, then, unless with small motor, it will heat up very fast. I recommend you not to remain in brake condition for more than a half a minute. Therefore, for simply stop the motor you can set duty cycle to 50% and then disable the bridge with EN pin. The circuit is very simple, basically it consists of two A4950, the 74HC240, and five bulk capacitors. 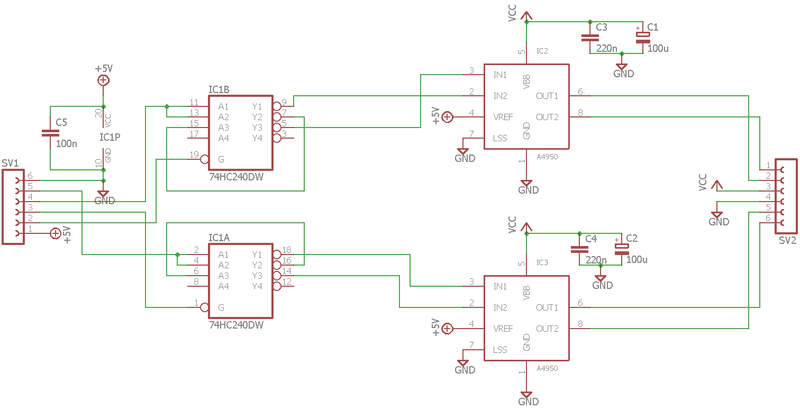 The ENABLE pin of the inverter is used to set LOW both the Input signals of the A4950, setting it to low power mode. The A4950 can also provide a current feedback, but the sensing resistor also triggers the automatic current limiting system of the IC, that decrease the maximum output current. For example, a 0.25ohm resistor would limit the maximum current to 2A. This is the reason why i choose not to use the current sensing in this version of the board.